Schweben - Ay, But Can Ye? 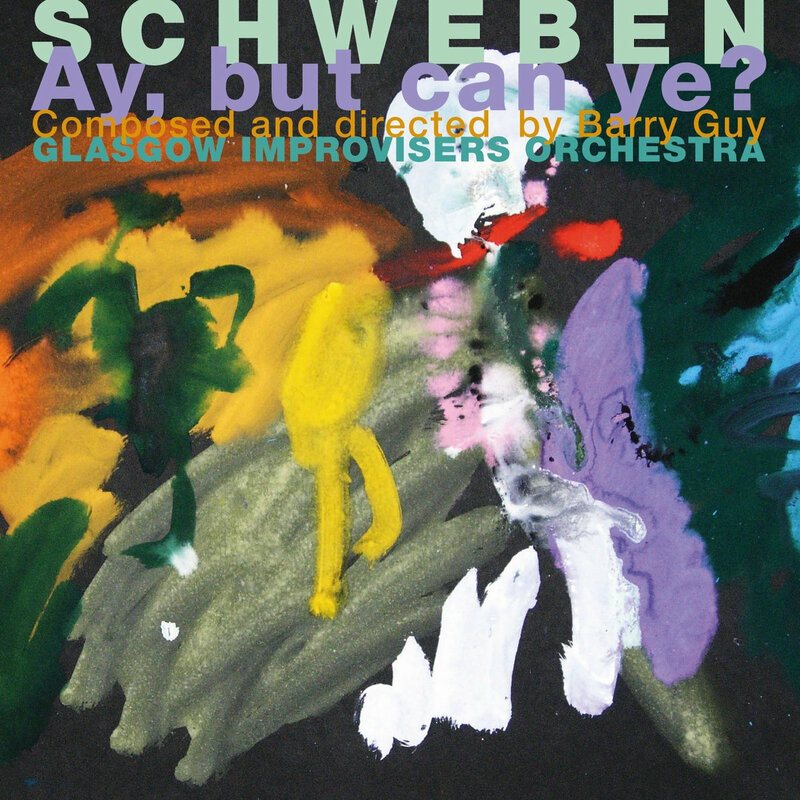 Important for this composition commissioned by the Glasgow Improvisers Orchestra from Barry Guy, is the unity of composed and improvised passages, the concern for the capabilities and strengths of individual players, the way in which small groups are part of the larger structures. Based on “Ay, but can ye?” a Russian poem translated into Scots by Edwin Morgan and using images of Wassily Kandinsky, this mostly graphically notated score is a musical adventure for the players as well as the listeners. Other than providing the text for the vocalist(s) “Ay, but can ye ?” it proposed an interesting play on words with the German “Schweben” (To Float). The graphic controls the overall musical movement, but also asks some players to float inside and outside the boundaries and begs the question “but can ye?” - a question we often ask ourselves in daily life.